Discover the underwater world in the Mediterranean Sea and enjoy the largest oceanarium of Europe! 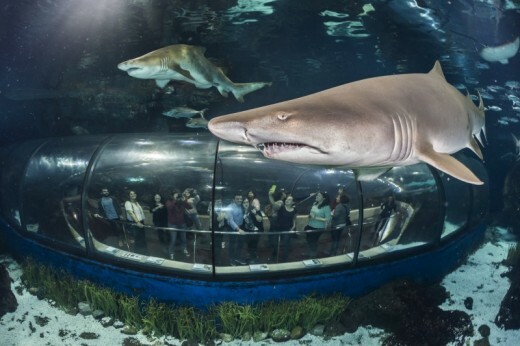 Walk through his permanent exhibitions with more than 36 aquariums and through the underwater tunnel of more than 80 meters, between the sharks. Immerse yourself in the Aquarium of Barcelona! Click here to go to the adult tickets. The Aquarium of Barcelona, situated in Port Vell of the city, is the most important maritime center for recreation and education in the world with a Mediterranean theme. A reference of leisure time that has already been visited by more than fourteen million people. The Aquarium of Barcelona is a privileged place to get to know the bottom of the sea and all its inhabitants. 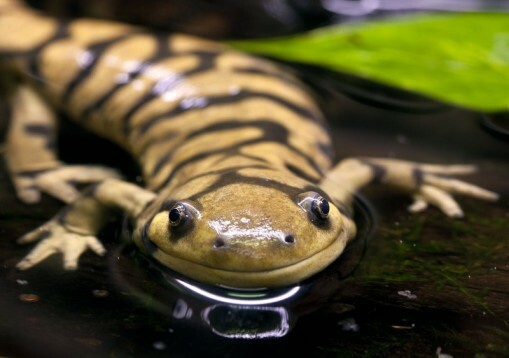 You can do it thanks to the thirty-five Mediterranean and tropical aquariums where eleven thousand copies of about four hundred and fifty different species live. 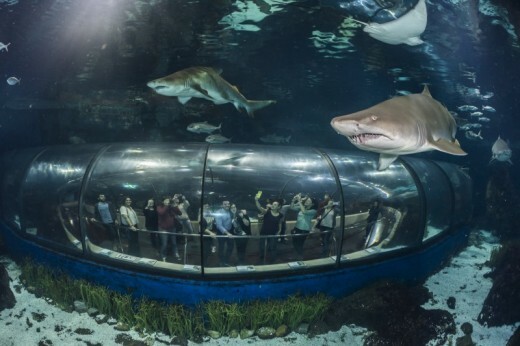 The largest and most spectacular is the Oceanarium, a unique installation in Europe, five meters deep and thirty-six in diameter, crossed by a transparent tunnel of eighty meters long. With your ticket, you get also access to the permanent exhibitions, Planeta Aqua and Explora, in which the interest of the aquatic environment on earth is explained and where children can discover the marine world. When you leave, you will find many services at your disposal, such as cafeteria, shop, auditorium and photo memories among others. Access to permanent exhibitions Planeta Aqua and Explora. The visit to the aquarium is not dependent on the weather. You have a whole day access to the aquarium. This ticket is valid for one child (5-15). It is advised to wear comfortable clothing. 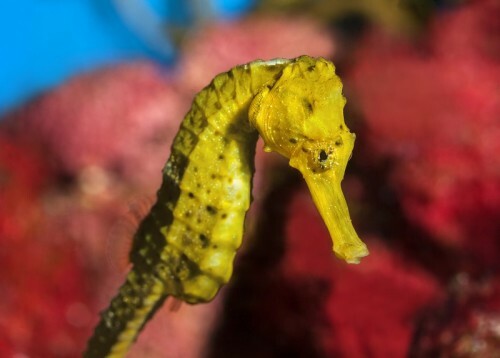 The aquarium is open every day of the year from 10:00 am - 7:00 pm. Heeft u hulp nodig met dit cadeau, Aquarium of Barcelona - child (5-15)?